When I hastily booked my trip to Mexico last New Year’s, I resolved to do it as cheaply as possible. Not just because I’m a “frugal” frolicker, but because I hadn’t planned or budgeted for this extra trip at all. So I cashed in some of my Southwest and JetBlue miles to book our flights to and from Cancun, and my mom gifted Jamie and me with some of her Chase Ultimate Rewards points to use on a hotel in Playa del Carmen. 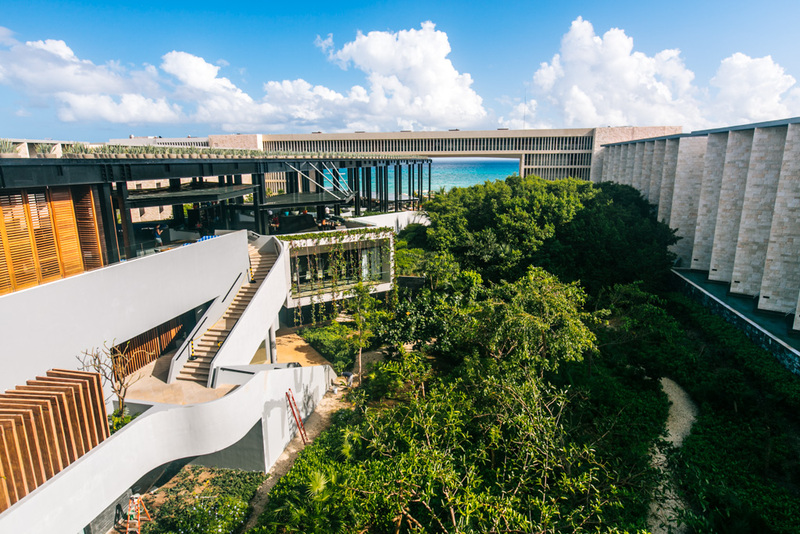 Then I transferred these points to my newly created Hyatt account and used them to book us a three-night stay at the five-star Grand Hyatt Playa del Carmen. And wow, did this hotel impress the pants off of us — quite literally, in fact, thanks to the glorious infinity pools. 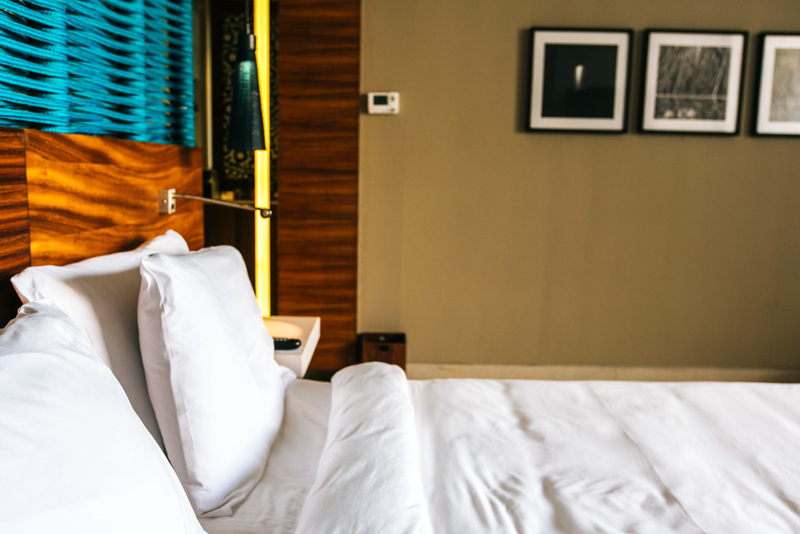 Here’s a quick look at what life in a luxury hotel in Mexico entails. Standard king room at Grand Hyatt Playa del Carmen. The Grand Hyatt Playa del Carmen offers standard rooms and suites with a full or partial view of the ocean or a view of the gardens. If you want to pretend like you’re vacationing in Bali instead of Mexico, you can opt for a swim-up room. Aptly named, these rooms have private plunge pools right off of the terrace and overlooking the gardens. 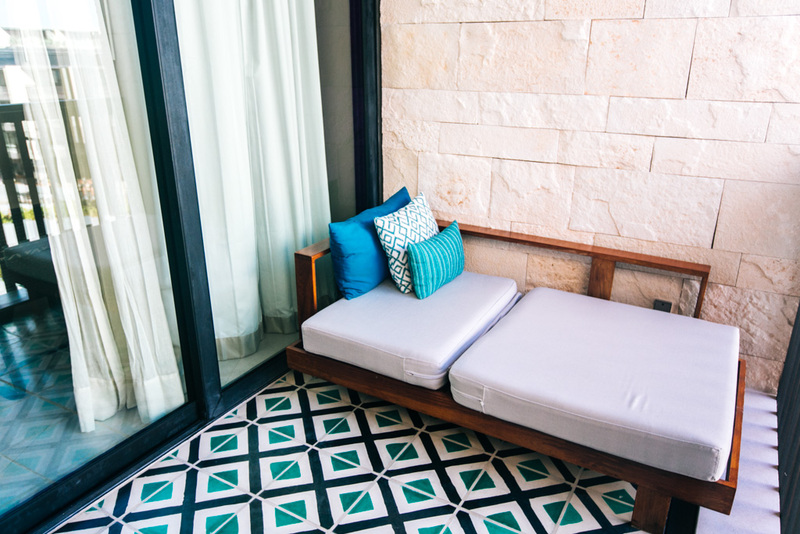 We adored the minimalist beach chic design of our standard king room and the partial ocean view from our balcony. Jamie lost her mind over the rain shower in the bathroom, and I quickly became obsessed with the insanely comfortable bed. The room came equipped with a Nespresso machine and a generous helping of coffee cartridges, too. Being the coffee snob that I am, I quickly determined my favorite flavor and left a note for housekeeping asking for more of them. They were happy to oblige. We actually found a great deal through the Grand Hyatt website, which gave us a free upgrade to a Grand Club room. All Grand Club rooms are located on the club level with easy access to the Club Lounge. As far as I knew or cared to research, booking a Grand Club room snagged us a free daily breakfast. This fit quite nicely with our strategy of maximizing the amount of time we spent poolside. 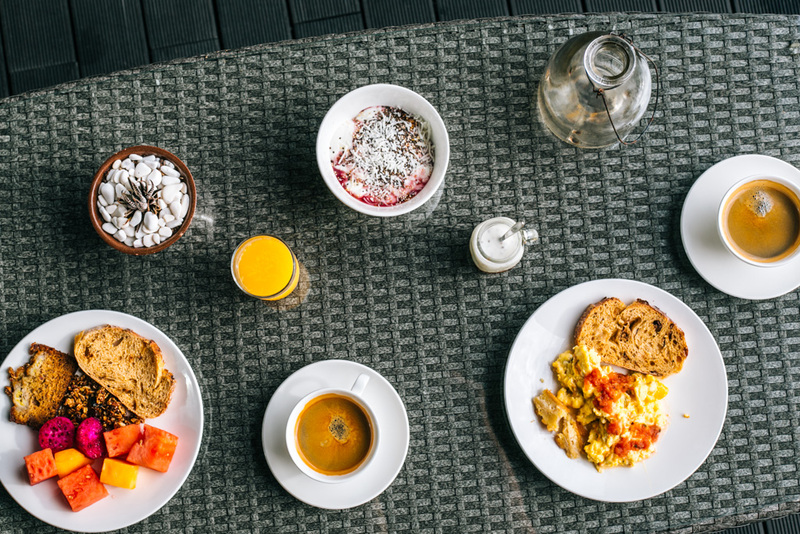 Honestly, we weren’t interested in leaving the hotel first thing in the morning to scavenge for food, and we didn’t want to pay for an overpriced meal at the hotel restaurant. All I wanted was some coffee and basic sustenance to hold me over til lunchtime, at which point it would probably be wise of us to take a break from sunbathing and go grab a bite in town. We weren’t asking for much, but we ended up with some seriously incredible value added onto our stay, thanks to our club perks. Hotel view from the Club Lounge. First of all, the complimentary breakfast spread was insanely impressive. If you Google “Grand Hyatt Playa del Carmen,” the comment that comes up most frequently is how amazing the breakfast pastries are. I can’t confirm this because I’m a freak and don’t really care for sweets first thing in the morning, but they certainly looked incredible. I was more taken by their scrambled eggs, which were seasoned differently each day, the yogurt and granola bar, and the variety of bread. Everything was fresh, high-quality, and delicious. Jamie and I would take our breakfast out on the club lounge balcony every morning and wake ourselves up with some Nespresso coffee before retreating to our pool chairs to fall back asleep in the sun. The Grand Hyatt also hosts a cocktail hour for its club members from 6 to 9 p.m. daily in the Grand Club Lounge. We sampled fancy hors d’oeuvres like salmon, tried all sorts of cake-like desserts, and washed everything down with some great red wine. 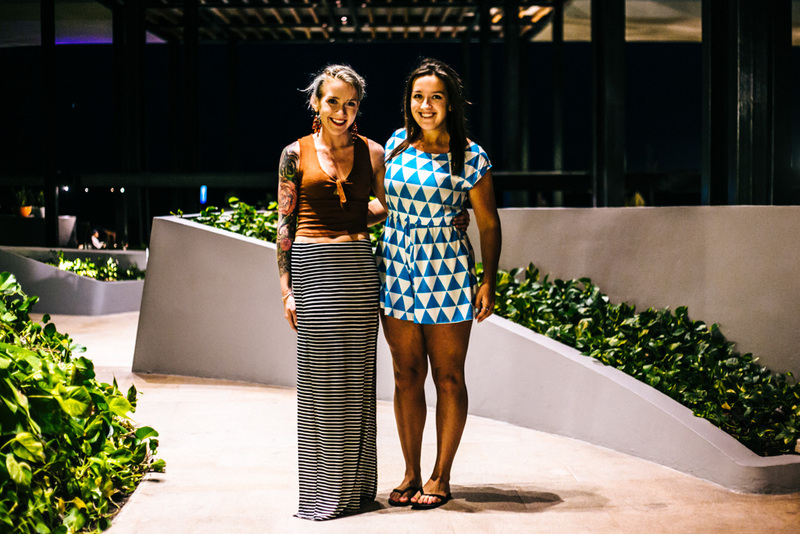 We very well could have skipped dinner altogether – the only reason we didn’t is because we were intent on taking advantage of the delicious Mexican food while in Mexico. The number one thing that sold us on the Grand Hyatt Playa del Carmen was the range of infinity pools. Three of them line the edge of the resort overlooking the beach, which made for a fantastic respite from the spring break mayhem on the sand nearby. There are also loungers and umbrellas right in front of the resort for guest use, for those who want to be closer to the crowds or ocean. 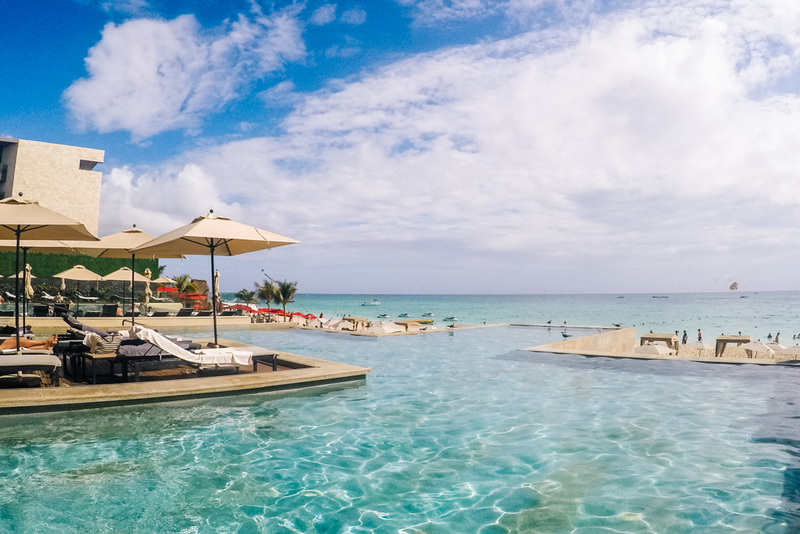 Our daily Playa del Carmen itinerary centered around these infinity pools. We’d claim some lounge chairs around the adult pool and lay out all day until they were enveloped in the shade, at which point we’d head back to our room and shower, get dressed, and head out for dinner. Yes, I was actually working and not just posing with my laptop! The award-winning spa at the Grand Hyatt Playa del Carmen is absolutely beautiful. It was designed to mimic the cenotes found around Mexico: think caves containing clear, warm water with beams of natural light shining through small openings in the walls. 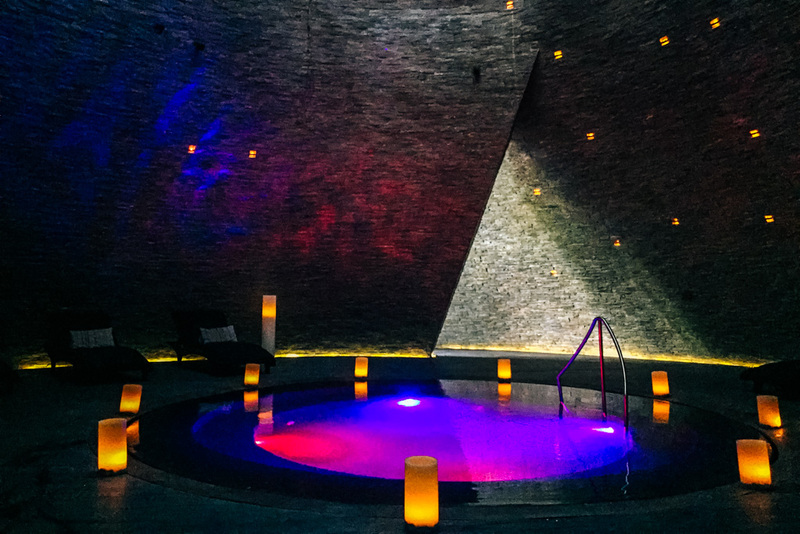 The pool at the Cenote Spa is lined with candles and lit up in rotating color schemes, the surrounding walls dotted with lights mimicking constellations. The room was dark and quiet like a cavern. So beautiful and peaceful! Another section of the spa offers saunas, cold plunge pools, and a Jacuzzi. These facilities are free to use when you book any service or fitness class. I nearly had them all to myself the entire time I was there! I booked into a yoga class, which was exactly what I needed at the time, but I would have loved to have tried an AquaForza class, which is basically aerobics and yoga done on a stationary floating board in the pool. It looks absolutely hilarious and insanely fun! 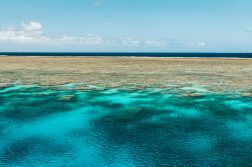 Though we didn’t spend actual money on our hotel stay, it was very worth the splurge in credit card points for three days of beachfront luxury. The Grand Hyatt Playa del Carmen is a fantastic hotel that I’d wholeheartedly recommend and return to without question.